Chen Liu scored more than points the day that Fiona Cui stopped by his intramural college game to hang out with her friends courtside - he found himself a future wife! The couple started dating some time later, then moved to New York and San Francisco together, and by the time Chen proposed beneath the Leaning Tower of Pisa in Italy, their happy ending was a slam dunk. Surrounded by their loved ones, the pair exchanged vows at the Villa Montalvo in Saratoga, in a celebration that was both classic and chic. TARALYNN LAWTON captured their beautiful day which featured stunning florals by GAVITA FLORA and was planned by EVENTS BY SATRA. HOW DID YOU MEET? Chen and I were introduced to each other during university by a few common friends. The first time we ever saw each other was on the basketball court where Chen was playing an intramural game and I was hanging out with friends by the courtside. We started dating during third year, and moved to New York City then San Francisco together after graduation. TELL US ABOUT YOUR PROPOSAL: Chen proposed under the Leaning Tower of Pisa in Italy during spring of 2015. TELL US ABOUT FINDING YOUR WEDDING DRESS: The dress I ended up choosing was in fact the very first wedding dress I tried on. I found it at a bridal shop in Vancouver, BC with my mom. Although I tried on a number of dresses during the next few months, this particular dress always stuck with me and I eventually went back to get it. WHAT WAS THE INSPIRATION BEHIND YOUR WEDDING LOCATION & STYLE? I have always wanted an outdoors wedding, classic and slightly vintage in style, with a very clean yet elegant colour scheme. 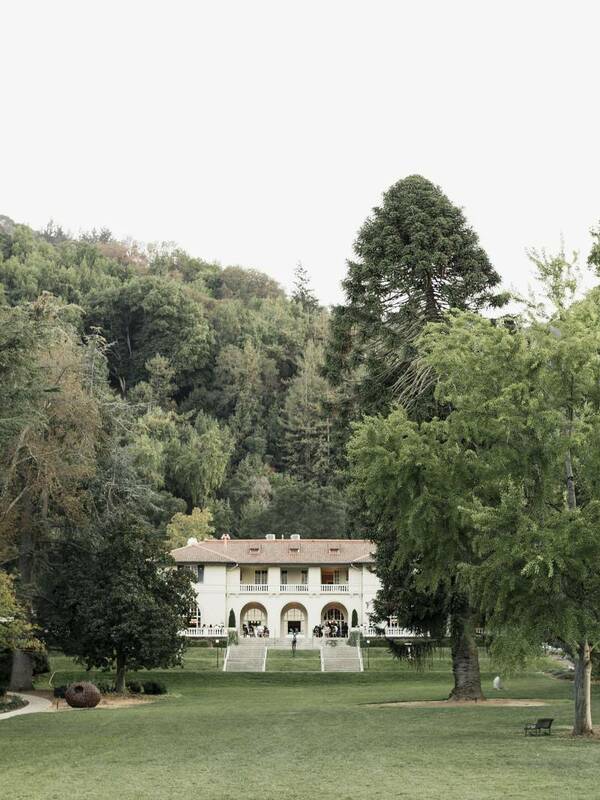 Villa Montalvo was the perfect from the architectural design perspective. 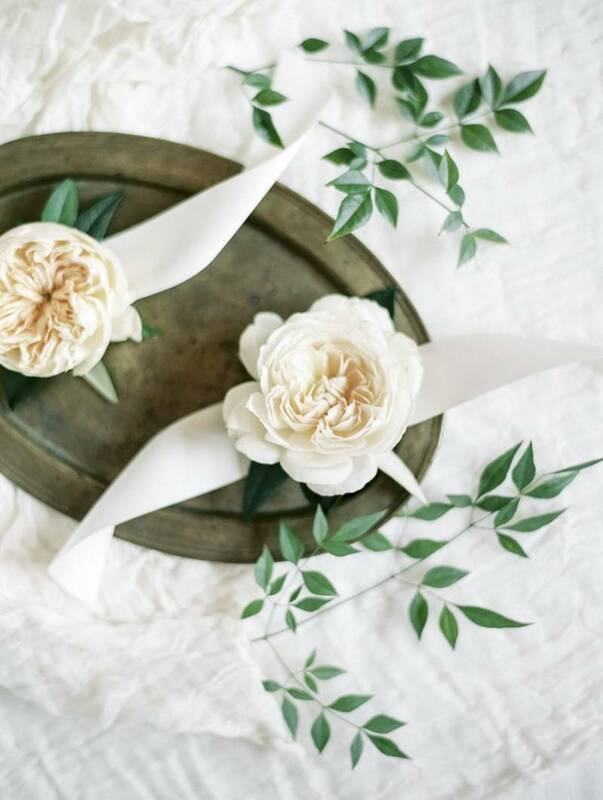 After choosing the venue, we worked with our florist and wedding planner to create the elegant and vintage style using flowers and furniture rentals. FAVOURITE DETAIL OF THE DAY: The curtain tie back greenery & floral GAVITA FLORAL put together for our ceremony décor was absolutely gorgeous. WHAT ADVICE WOULD YOU GIVE OUT TO A COUPLE PLANNING THEIR WEDDING? 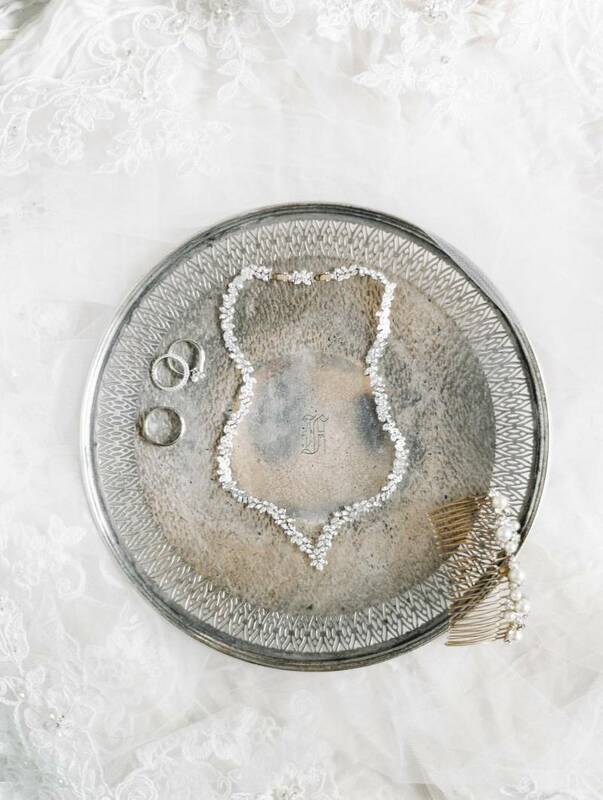 Always start with the venue - once the venue is decided, everything else will fall into place, even the wedding dress. The venue will anchor the overall style (modern vs vintage, etc) of the wedding and it will be easier to decide on other elements once that's decided. MOST MEMORABLE MOMENT? Exchanging vows was the most memorable moment for us. IS THERE ANYTHING YOU WOULD CHANGE OR DO DIFFERENTLY? I would start the morning prep as early as possible. We started a little later than planned and it really took time out of our photo taking time before the ceremony.